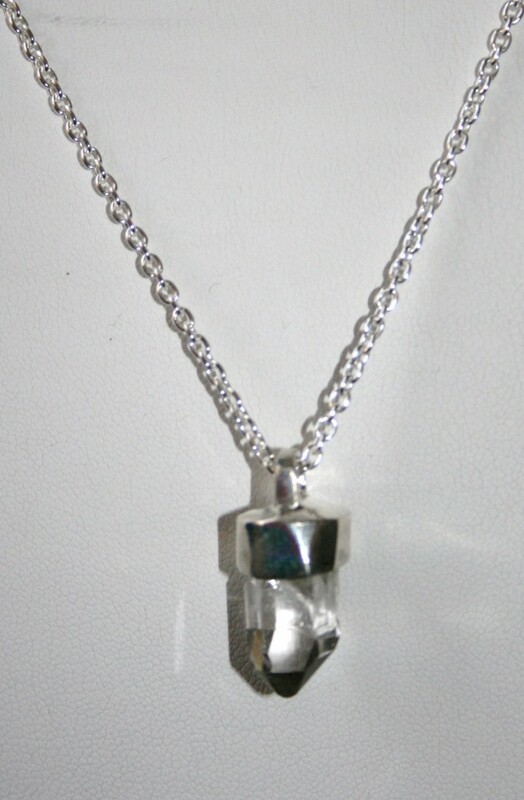 Small White Crystal pendant- We permanently set the Crystal with the ashes inside of the cap. 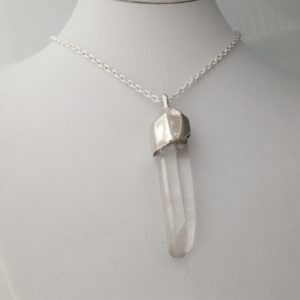 Small White Crystal Pendant – Hand carved sterling silver cap that holds ashes. We will need you to send us approximately 1g of ashes in a plastic baggy to fill and seal this urn pendant. Does not come with a sterling silver cable chain.